If you’re looking into buying a new Volkswagen you might have wondered what a TSI engine is, and what the difference is between a TSI and TDI. 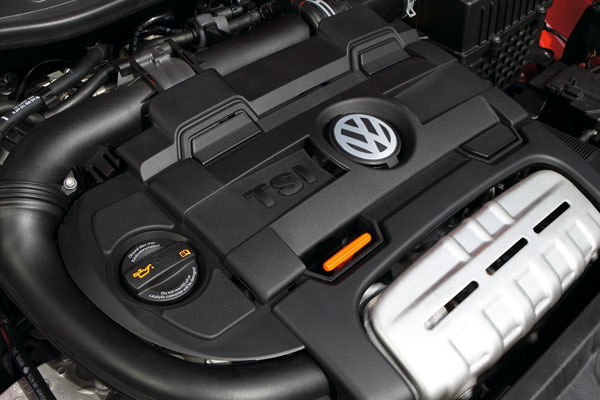 Simply put, TSI are Volkswagen’s petrol engines and the TDIs are diesel. However there’s a bit more to it than that; the TSI engines actually take features from the diesel TDIs and normal petrol direct injection engines and mix them together. The 1.4-litre TSI unit is a ‘hybrid’ engine that combines petrol direct injection with what VW call ‘twincharging’ – a turbocharger and supercharger working together. 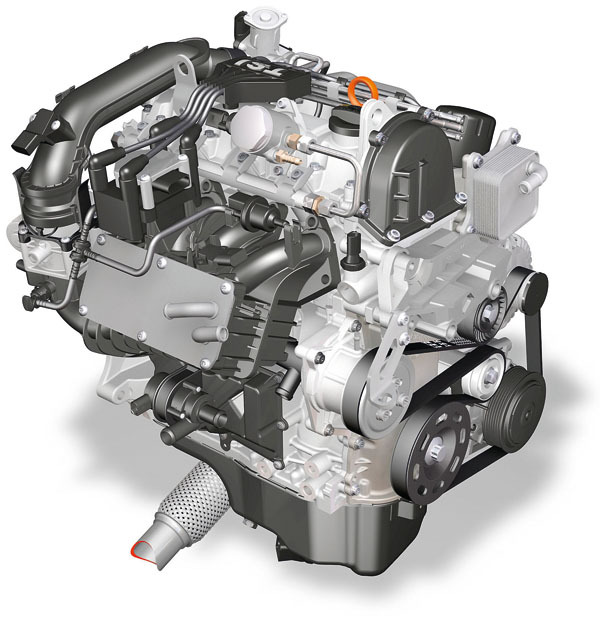 The result is a compact yet powerful engine that scores highly for both performance and economy, runs smoothly and quietly, and produces less CO2. First, a smaller and lighter engine. Decreasing engine size means less power is lost through friction, and reducing weight means the engine has less to move. Second, direct petrol injection and twincharging. Engines run by burning fuel (combustion). The more efficient the combustion, the higher the power output and the lower the fuel consumption. 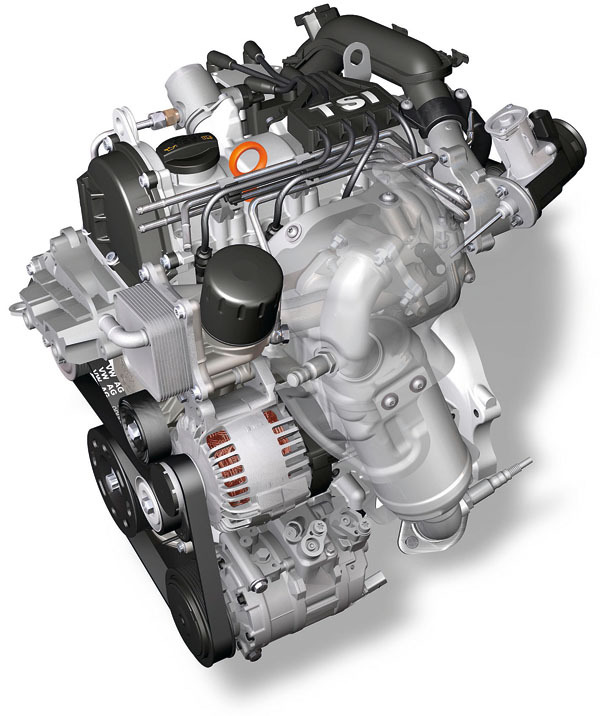 VW’s twincharging system means a turbocharger and supercharger working together. The supercharger is powered via belt drive from the crankshaft, giving optimum pulling power even at very low revs. At higher speeds the turbocharger (a system that uses the energy from exhaust gases to power the air intake that is essential for combustion) joins in, making the system more energy-efficient. Volkswagen have used a number of design tricks to make the TSIs even more efficient. These include redesigning moving parts to use less materials (and therefore be lighter) and optimising the fuel injection. This second point needs a little more explanation. Two of the key factors in engine design are pressurising and cooling air in the cylinder (because oxygen is needed for combustion and air is only 21% oxygen), and pressuring fuel so that it can be injected into the cylinder as a fine spray and mix as quickly and evenly as possible with the compressed air prior to combustion. The TSI’s turbocharger has its own separate air cooler, which means that the volume of air held in the system to charge the cyclinder with has been halved. The pressure required for combustion can build up far more quickly, meaning further efficiency savings all round. 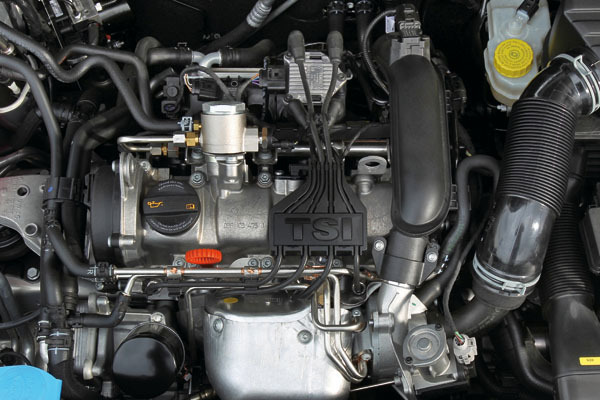 The TSI engine has been well-received by motor critics worldwide, and the 1.4-litre twincharger unit has won the International Engine of the Year award in the 1.0-1.4 litre category every year since 2005. It also won Best Green Engine in 2009. A 1.2-litre TSI engine is also available, fitted with a turbocharger only.